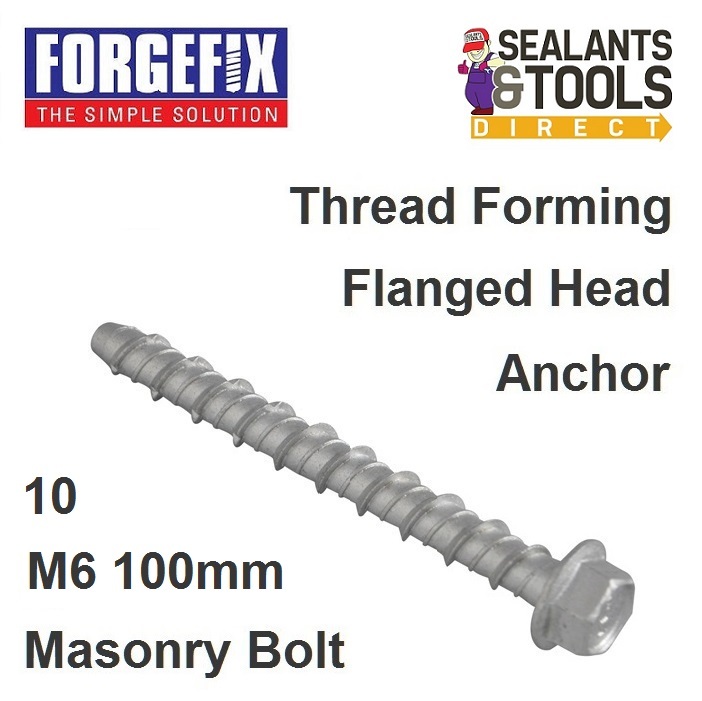 Forgefix Lightning Bolt totally removable rotation setting anchor. Ideal for either temporary or permanent anchoring into base materials which includes brick, concrete, hollow brick or block work. The Lightning Bolt is particularly well suited for close to edge fixing as it does not expand or burst the surrounding base material. Through fixing eliminating the need for marking and re-positioning. The bolts have an Elementech coating for superior anti-corrosion, which has been salt spray tested to 1,000 hours. The Flange acts as a fixed washer distributing the load under the bolt head. The Hex head offers optimum torque when used with spanners or sockets giving a firm hold on the material to be fixed. Simply drill through fixture and into the base and simply screw and tighten. Widely used for fixing batons, balustrades, handrails, racking and holding down machinery, plus many more installation applications.